Sit back, relax, and let Dutch songbird Niki Romijn’s calming and peaceful Roos van Jou Mond’s celebration of beloved Ingrid Jonker transport you on a nostalgic journey. Romance at its most passionate and heartfelt, Roos van Jou Mond was in Swellendam last night to great acclaim. About 12 years ago Dutch artist Niki fell in love with the poems of Ingrid Jonker. This admiration resulted in two CDs and Roos van Jou Mond, which toured The Netherlands for three years and is now evoking fond memories for Capetonians. To commemorate this event, Niki Romijn and bass player Erik Robaard pay special tribute in this musical celebration of an iconic South African writer. With her expressive voice and inspired interpretation, Niki Romijn makes the poems of Ingrid Jonker even more intense and heart-warming. By sharing her personal thoughts with the audience, she adds more depth to the words. A really unique aspect of the show is that Niki performs the show in Dutch, sometimes reading the words of Jonker, allowing the audience really to listen to every word and fully comprehend its impact and meaning. Who can but succumb to the overwhelming beauty of phrases like: “Jou lyf in my lyf gedoop”, “Die liefde is niks anders as verlange”, and “Ek hehaal jou sonder begin of einde”, perfectly capturing the sacred intimacy of love, passion and dedication. Fully expressing her undeniable passion and fervour for Jonker’s poetry, life and legacy, Roos van Jou Mond is original and refreshing. The resonance of what Jonker expressed through her words is filtered through Niki’s artistic sensibility and soothing singing, which evokes vivid memories. A special moment is when Niki reads an excerpt from a conversation between Jonker and her grandmother, capturing a beautiful moment that formed the poet’s life and is summed up in the phrase: “The act of writing is an act of faith.” The nostalgic past that formed Jonker’s life takes us on a journey to a future, which shaped our understanding of a complex woman who was devoured by her affection for her country, and her passion for love and the world that beckoned her. Just as Jonker shared her happiness (and sadness), so does Niki share her inspirational passion through her music and performance. Aspects of love in all its various facets, from the love between a mother and daughter, to that of love of country and being loved, are poignantly reflected throughout the show. It has a raw energy that is natural and simplistic and totally mesmerising. As a musician, Niki probes the soulful melancholy of Jonker, allowing us to reflect on the lasting impact she has made on the world and even Nelson Mandela, who quoted one of her poems during one of his most memorable speeches. Roos van Jou Mond is about a woman in search of understanding, questioning our fatalistic existence and quest for meaning and belonging. It’s an intimate conversation through song and dialogue, featuring great renditions of Korreltjie Sand, Heimwee na Kaapstad and even Carol King’s fitting Will You Love Me Tomorrow? 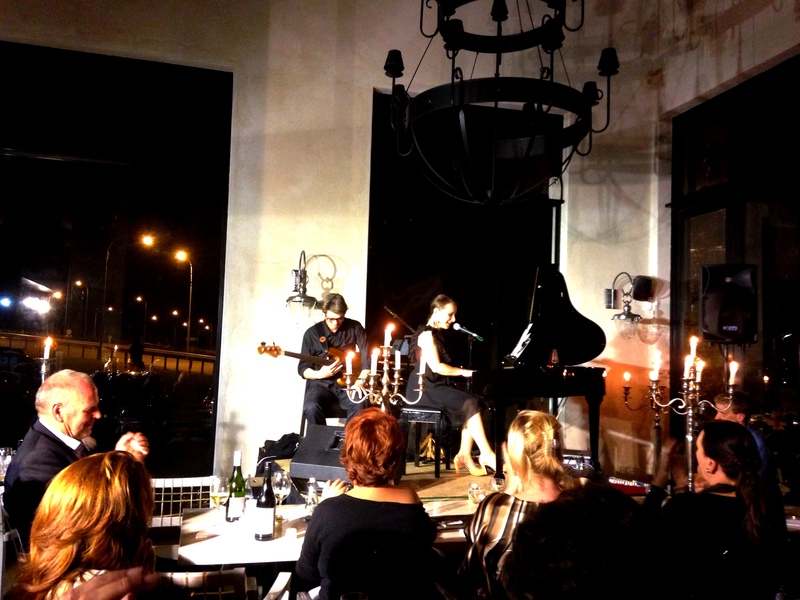 In particular, Korreltjie Sand is a memorable moment, when Erik Robaard joins her at the piano for a soulful union when he plays the keyboards with her and echoes the haunting refrain. Ingrid Jonker represents the freedom of everyone in Africa. Niki will touch your heart with Roos van Jou Mond. It’s a perfect opportunity to connect with who you are as a South African – and how artists like Ingrid and Niki can evoke and instil the importance of communities living in harmony, peace and understanding, even if the words sound foreign.